In 2014, trucking jobs were rated one of the most popular jobs in the United States. This is no coincidence as our society becomes driven by machines and outsourcing. Truck driving is one of few positions which cannot be outsourced or converted to automation.With that said, truck driving jobs provide stability and a position unaffected by evolving technology which many are looking for in 2015. Here are a few additional reasons trucking jobs are in great shape for the future. All across the United States companies need freight shipped to other locations. This means truck drivers can practically live in any part of the country. Whether you want to stick close to home or move to a city you have always dreamed of, trucking jobs will always find you. Many have the misconception of truck drivers always having to go cross country and live in their trucks out on the open road. While there are many trucking jobs that consist of just that, there are also many trucking jobs which allow drivers to do local routes and return home after the end of every shift. This allows drivers to choose an option that best fits their lifestyle. .
With all the hype in the past decade of going to college and getting a degree, truck driving positions do not require any higher education. This is beneficial for those who are unable to attend college and also those who are trying to avoid it’s rising costs. A recent article by The New York Times compares increasing college tuition to cars stating that if car prices had gone up as much as college tuition, the average car would cost more than $80,000. The only prerequisite for becoming a truck driver is obtaining your CDL which is more affordable than any additional schooling. Truck driving will continue to be another standout career choice in 2015. Logistics companies are always in need of truck drivers, it requires no college education, which allows candidates to avoid the high cost of student loans. 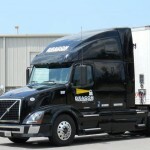 Want more information on how to become a truck driver? Visit our careers page.